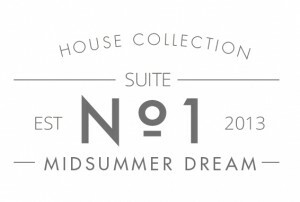 ABOUT: The Midsummer Dream collection is inspired by Shakespeare’s classic play ‘A Midsummer Night’s Dream’. 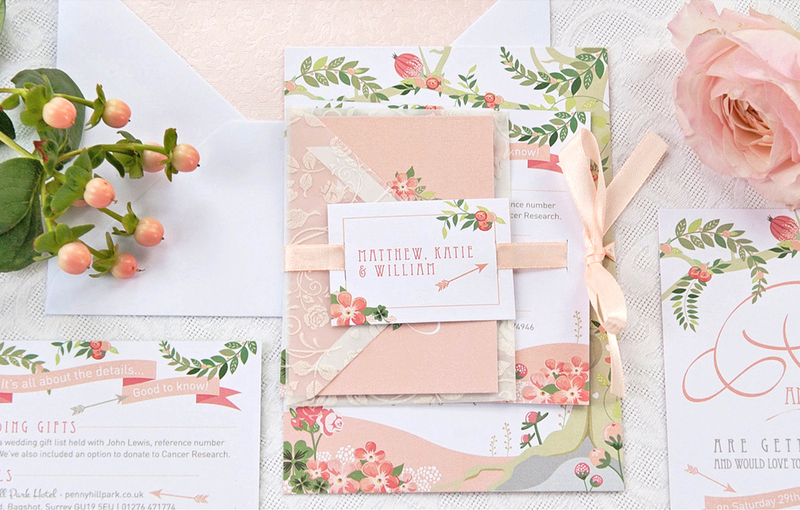 This modern, feminine take on the story uses illustrative wild flowers, berries and leaves set within an enchanted forest. 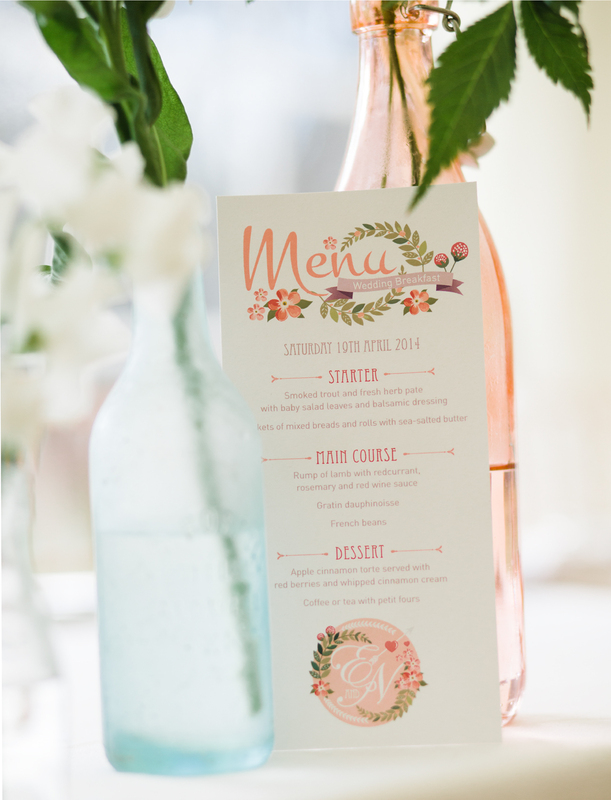 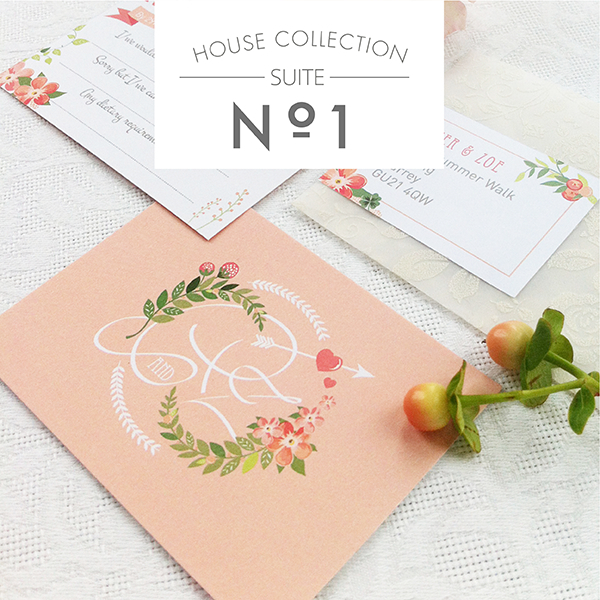 A beautiful monogram of the bride and groom’s initials is used across the range to personalise it for each couple. 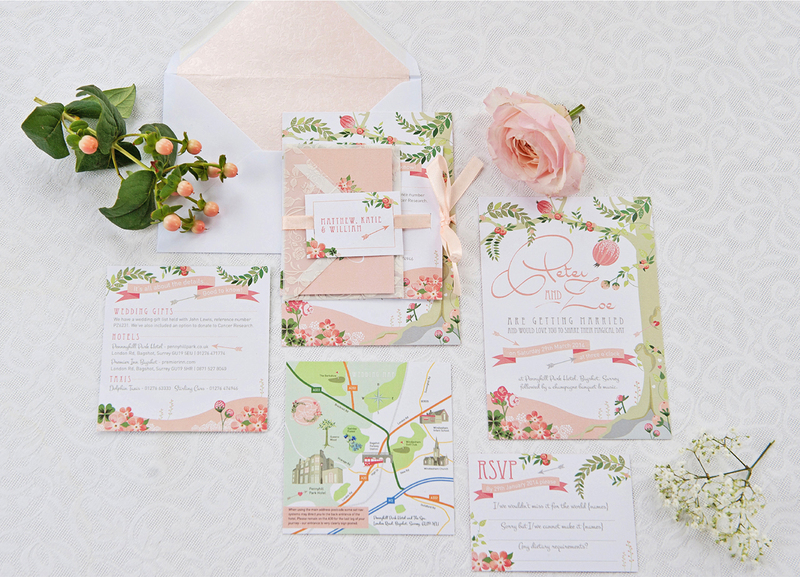 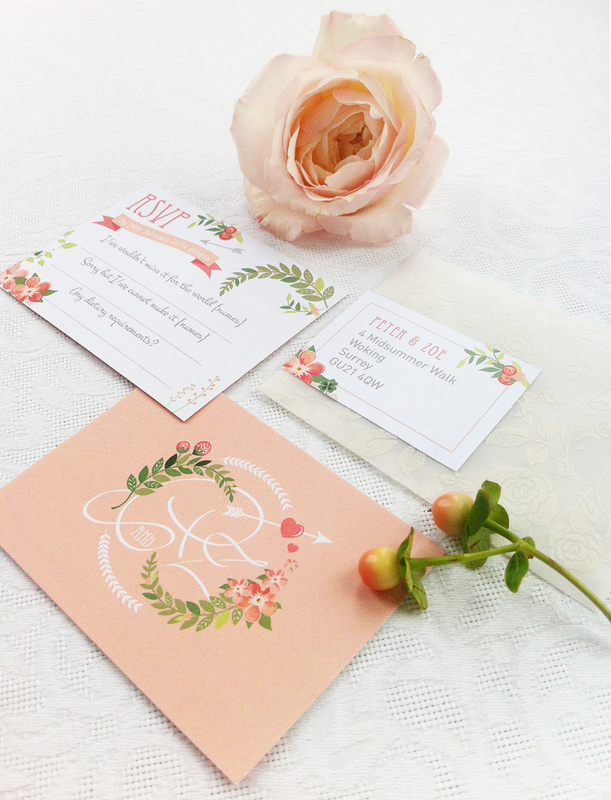 Guest name tags are tied within a satin peachy coloured ribbon, along with the main wedding invitation, information sheet and the RSVP. 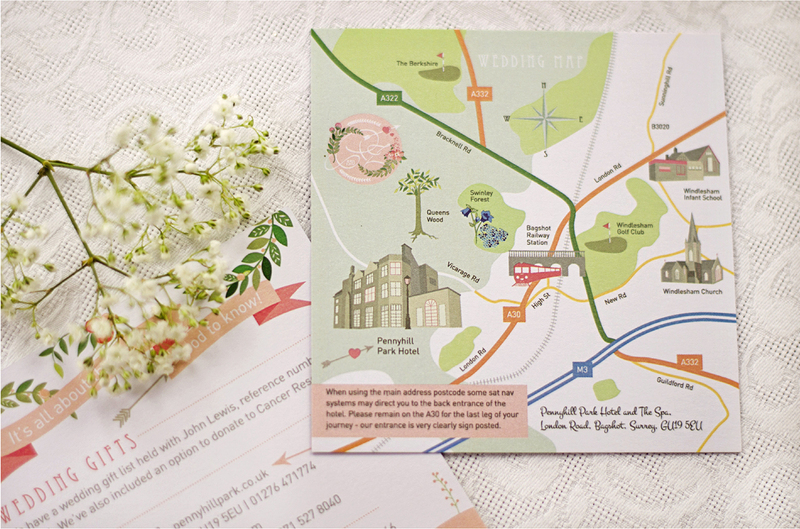 You can even request to have an illustrative map of the venue location included (buildings can also be illustrated on the map as another extra). 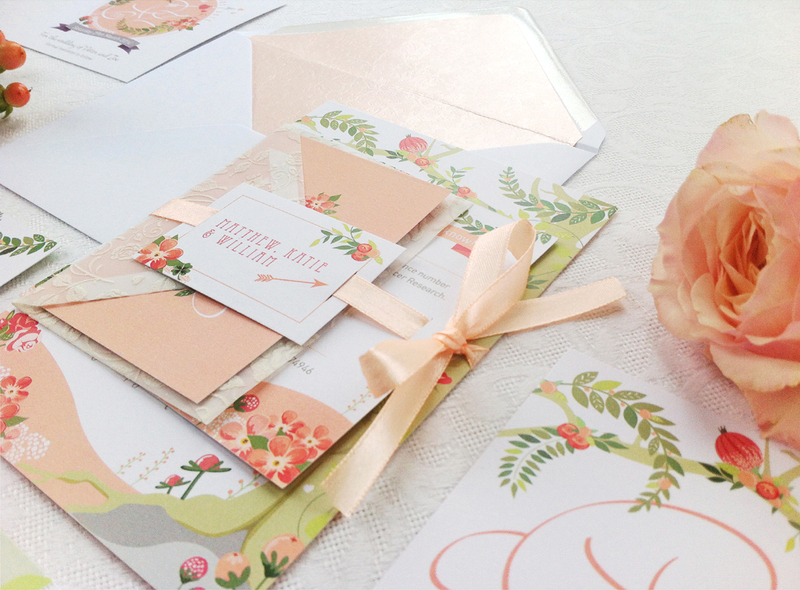 The range comes with a choice of luxury textured envelopes, delicate patterned linings and postage labels and stickers designed to match.